Stocks, led higher by big cap tech, were on an absolute tear higher today. Volatility as measured by the VIX was crushed lower. The dollar continued to show weakness. Gold rallied up through the overhead resistance, and made a stab at some levels we have not seen in some time. 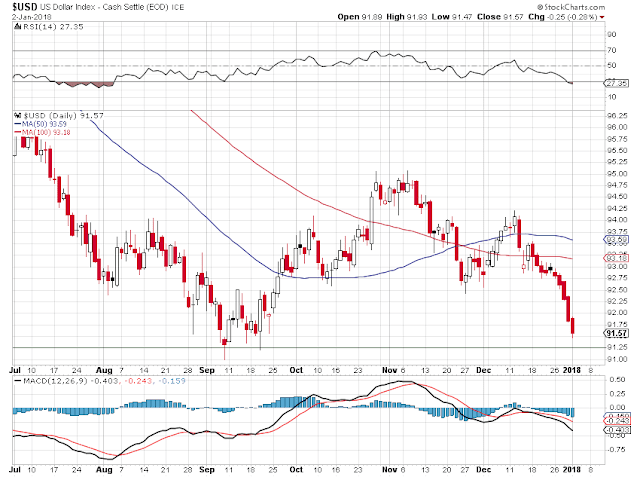 Silver showed its penchant for beta and was up a bit higher on a percentage level, firmly nailing down the 17 handle. It will be interesting to see if we can crack 1330 in gold/dollars. What a powerful move we have had off the last FOMC meeting. But as noted, this has been the usual thing so many times last year.